Adobo is a Latino mixture of spiced used in various countries including Mexico. Usually a purchased Adobo may include garlic powder, onion powder, salt, black pepper, oregano, cumin and cayenne pepper. Adobo can be used as a rub on meats prior to grilling or frying for a delicious kick, or used in taco meat as well. Allspice is a pungent spice that was orignally named "Jamaican pepper." It tastes like a blend of cloves, cinnamon and nutmeg. Allspice contains eugenol, which eliminate digestive issues such as diarrhea, nausea, vomiting, and constipation. It has anti-inflammatory properties which ease cramps, and aid digestion. Some people even apply allspice directly to the affected area for muscle pain and toothaches, or put it on the skin to kill germs. Allspice is an important spice in Carribean cuisine, and can give a carribean aspect to dishes. It can be used for jerk chicken, BBQ, gingerbread / spice cookies. 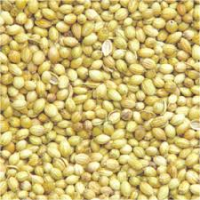 Anise, also called aniseed, is a flowering plant native to the eastern Mediterranean region and Southwest Asia. Its has flavors similar to fennel, and licorice. Anise preparations are a great remedy for asthma, bronchitis cough, flatulence, bloating, stomach pain, nausea, and indigestion. Anise can be used as flavoring base for soups, sauces, breads, cakes, biscuits as well as confectionary. Anise extract is also used to add licorice flavor to baked goods. Arrowroot is the starch obtained from rhizomes of several tropical plants. It is used commonly in cooking to produce a clear, thickened sauce that is said to be a healthier alternative to cornstarch. Since Arrowroot flour contains no gluten, it is a great replacement for wheat flour for people with a gluten intolerance. Arrowroot contains B vitamins such as thiamin, niacin and pyridoxine, and minerals such as copper and iron, manganese, magnesium, phosphorus and zinc. Arrowroot can be used as a thickener in stir frys and stews, and in baking. Baking powder is an cooking agent that is used to make food rise. It is a combination of an acid, cream of tarter and an alkali, baking soda. It also has cornstarch in it to keep the moisture level down. When a liquid is added to baking powder mixture, carbon dioxide bubbles are formed which causes the mixture to expand. It then rises again when cooked in the oven. Baking powder is usually used in cakes. 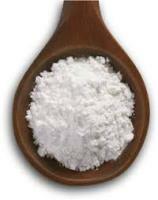 Baking soda is sodium bicarbinate and it is used as a levening agent in baking. It is one of the components in baking powder and creates the carbon dioxide bubbles when combined with an acid, like buttermilk. Baking soda is usually used in cookies. You can also clean with baking soda and many people put a box of it in their fridge toeliminate odors. Cardamom is the third most expensive spice in the world! This small greenish/ black pod has a spicy sweet flavor. The tiny black seeds inside of the pod are ground or milled. Cardamom is used in East Indian cuisine, teas, coffee and sausage. It is high in manganese and it improves blood circulation, and may prevent heart disease. It is high in fiber, iron, many minerals. Studies suggest that high levels of flavonoids in cardomom enhances its antioxidant properties. Evidence shows it to be one of the healthiest herbs on the planet! Add magic to any dish! Cayenne pepper, while used mainly to flavor foods, has many health benefits. It is known to speed up the metabolism, and helps the body burn fat, so it is great for weight loss. It may stop a heart attack in seconds by opening the arteries of the heart. Cayenne pepper can relieve joint pain and helps with sore throats when mixed with water and gargled. It increases blood circulation, which can reduce hair loss, and prevent high blood pressure. It may also help prevent cancer. Don’t throw away the leaves of the celery stalk! They have many healthy benefits when added to meals.Toss into a salad, mix into a smoothie or green juice, use as an edible garnish, mix with sea salt for a fresh seasoning, mix into a pesto. The leaves are an excellent source of antioxidants, vitamin K, vitamin E, folate, and vitamin b. Not to be confused with cayenne pepper, also has capsaicin, which adds that spicy flavor, it also offers many health benefits. It can improve your cognitive function, maintain a good blood pressure, aid in digestion, help fight infection. So add some chili powder to that next omelette, throw some in a bowl of soup or top it on a salad. Cinnamon- The most healthiest and flavorful spice on the planet! Used for thousands of years for its medicinal properties as well as its flavor. Cinnemaldahyde compound, found in cinnamon is what gives this spice its powerful effects. Loaded with antioxidants, anti inflammatory properties, lowers blood sugar, known to aide in the decrease in neurodegenerative diseases,protect against cancer and antifungal and antibacterial. Plus it taste great! Sprinkle it on salads, desserts,teas, baked goods, and cuisine. Cloves are an antioxidant. They are filled with potassium, manganese, vitamin A. An amazing source of vitamin K, vitamin B6, thiamin (or vitamin B1), vitamin C, and riboflavin. The previously mentioned vitamins make it a wonderful antioxidant. It even protects the liver and slows osteoporosis with all the extracts inside, keepings your bone density strong and healthy. Cloves are also anti- inflammatory, anti- flatulent, an anesthetic. The digestive system is improved. Due to the potassium cloves are also a great way in controlling your heart rate and blood pressure. Coriander or Cilantro is a micronutrient that has numerous health benefits for the body. Its rich in calcium which will keep your bones strong. Its also known as a dietary fiber and helps with indigestion. Abdominal pain is easily healed, and your stomach will be strengthened. Your cholesterol levels will be lowered as well as any fevers. Such as the others, Coriander is also an antioxidant that fights inflammation. This spice also helps with muscle pain, headaches, mouth ulcers, menstrual, skin, and stomach disorders. Due to the high levels of iron Coriander contains, its very helpful for those who endure anemia. Coriander is also referred to as an antidiabetic, because of the hypoglycemic effects it has on the body. Cumin seeds contains dietary fibers that can aid in digestion, respiratory disorders, gas relief as well as stomach aches (due to the magnesium and sodium) and hemorrhoids. Since Hemorrhoids is basically constipation with some infections cumin seeds help heal the infection with the dietary fibers to keep things moving. Since these seeds also help heal bronchitis, common colds, skin disorders, along with boils and cancers. Cumin seeds also act as an anti congestive and expectorant to dispose of mucus and phlegm. Since it contains loads of vitamins A and C, these come together to fight off infections and illnesses. Popular in the 19th and 20th centuries, curry powder is a blend of mixed spices most commonly turmeric, cumin, coriander, cardamom, sweet basil and red peppers.All of which makes it filled with plenty of healthy properties. Cancer prevention, alzheimers disease, heart health, bone health, liver health, to name a few.It is a well known anticoagulant, so ifnyou are on blood thinners, consult your doctor before consuming. Use it in soups, broths, rice, anything! Use the seeds or the leaves to add a strong, tangy flavor to your favorite dish or add it to your medicine cabinet for medicinal purposes, Dill has been around for centuries and has many health benefits. It aides in digestion,and helps insomnia. 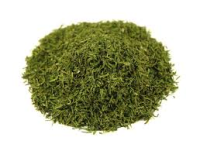 The calcium in dill increases bone health, It aides in gas relief, naturally, to boosting the immune system. Gets rid of hiccups, and helps with diarrhea. Peppercorn is actually the dried berry of a vine. It can be used whole or crushed to season food. Green peppercorns are generally preserved in brine and are milder in flavor than black, and white peppercorns have a more intense pepper flavor. Pink peppercorns have a sweet, sharp flavor that pairs well with seafood. Whole peppercorns may be too intense to eat alone. Pepper itself is antibacterial and anti inflammatory and enhances the health benefits of Tumeric. It is rich in manganese, iron, potassium and vitamins C and K.
Used widely around the world as a mouth freshener, toothpaste, antacid, as well as in desserts, and culinary dishes. High in iron and the amino acid histidine, fennel can help with anemia. It is known for being high in fiber, to heart health, indigestion, and flatulence. A rich source of potassium it can help with blood pressure, to brain function. Aides in protecting the eyes from inflammation. Word of caution, do not use in excess, may cause, difficulty breathing, heart palpitations, and more. Five spice- traditional essential seasoning that goes into most chinese dishes. A blend of star anise, szechuan peppercorns, fennel, cassia and clove. Adds a different savory taste to any dish. Used as a marinade, rub for meats, or sprinkled into vegetables. Translated as the “flower of salt” in french, Fleur de Sel is a rich blend of delicate northern atlantic coast sea salt, combined to make one of the finest salts since the seventh century. Due to its scarcity, and difficulty to harvest, it is one of the most expensive salts and one of the most treasured gourmet salts to have in the kitchen! 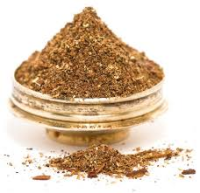 Garam masala, a spice used in Indian cooking, literally means "warm spice". It is not particularly spicy, but is used to create a rich, warm, earthy flavor in dishes. There are many varieties, but, generally, it contains, cinnamon, cardamon, cloves, cumin, corriander, nutmeg and peppercorns. 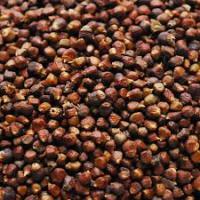 It may also contain mustard seeds, bay leaf, fennel, fenugreek carraway and mace. It can be used in curries, soups or rubbed on meats. Garam Masal is used in Ayuervedic medicine to boost immunity and metabolism, ease digestive woes, alleviate pain and lower blood sugar. 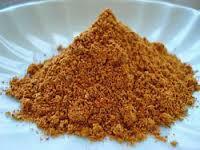 Grains of Paradises is a West African spice in the ginger family with a warm, spicy, woodsy flavor. It tastes like a combination of black pepper, cardamon and lemon zest, with a lingering woody flavor. The grains can be used whole in soups and stews for a milder flavor. Toasting, then grinding i,t gives a more intense flavor. It can be used in a rub or marinade or mixed with a lemon vinaigrette for a tasty salad dressing. 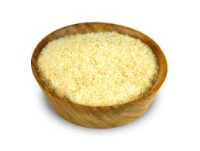 Because it has a hint of sweetness from the cardamon, you can also use it in desserts. This spice can aid in digestive ailments including parasitic infections and may boost testosterone levels. 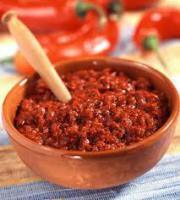 Harissa is a spicy aromatic chile paste used in North African and Middle Eastern cooking. It packs quite a punch, so a little goes a long way. It most often comes in a paste and is a combination of tomato, smoked hot chile peppers, garlic, olive oil, cumin, corriander, carraway and mint. The capsacin in the chile pepper may help boost metabolism. Harissa can be used in soups and stews, as a marinade, mixed into hummus or added to olive oil for a spicy dip. Mix harissa into your hamburger meat for an aromatic spicy kick. 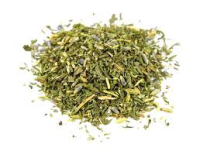 These mixtures, typical of the Provence region of southeast France, contain savory ,marjoram rosemary, thyme, oregano, and other herbs. In the North American market, lavender leaves are also typically included. Used to flavour grilled foods such as fish and meat, as well as vegetable stews. The mixture can be added to foods before or during cooking or mixed with cooking oil prior to cooking so as to infuse the flavour into the cooked food. Rock salt from Pakistan. It is commonly used in cooking, in place of other table salt, or brine. Also well known for its use to detoxify the body, as a brine in a bath. It works through osmosis. In addition to sodium, Himalayan salt is relatively high in iron, magnesium, phosphorus, calcium, potassium and chloride. It also contains traces of boron, fluoride, iodine, zinc, selenium and copper, all of which are necessary for bodily health. Horseradish root is a powerful pungent plant that gives a spicy kick when added to foods. When the root is shredded, it releases an oil called musturd oil which can clear your sinuses when inhaled! It can boost your immunity and is considered an anti oxidant. Horseradish is rich in Vitamin C, zinc, folate, potassium, calcium, magnesium and manganese. A teaspoon a day can aid digestion and lower blood pressure. It may help your body fight cancer and may reduce the risk of neural tube defects in pregnancy. Horseradish can worsen hypothyroidism, so it should be avoided in thyroid disorders. Jerk is a style of cooking commonly used in Jamaica which involves marinating meats with spices then slow smoking it. The main ingredients in the spice mixture are allspice and habanero peppers. It may also include cloves, cinnamon, scallions, nutmeg, garlic, brown sugar, salt, ginger and thyme. 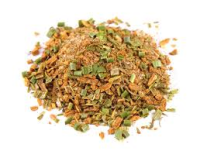 Jerk seasoning imparts a sweet spicy flavor which can be very spicy! Use jerk seasoning as a marinade or rub. Juniper berries are used as aromatics in cooking. They taste a little like gin, which they are used to make. They can be added to meats or fish to impart flavor. For example, you can make a bed of juniper twigs and berries with dill and lemon and lay fish or meat on top. A mild piney flavor will infuse into the protein, but you do not actually eat the bed of aromatics. Juniper berries are also used in teas to aid digestion, alleviate respiratory issues or to stimulate the kidneys into diuresis. Juniper can cause uterine contractions and should not be consumed by pregant women. Lemon peel is actually the peel of a lemon. It can be somewhat bitter to taste, but exhudes the essence of the lemon into your cooking. You can use the whole peel or zest the top layer onto foods. If you don't have fresh lemons, you can use dried peel that you purchase in the spice section of the grocery store. The peel contains a powerful antioxidant called Naringin, which can reduce radiation induced cell damage. Hesperidin, a flavanoid found in the white pith inhibits bone loss and reduces lipid levels. The peel also contains d-limonene which is protective against breast and colorectal cancer. It also helps with GERD symptoms, and may reduce gallbladder symptoms. It is a huge source of Vitamin C and fiber. Mace is a pungent spice related to nutmeg. It has a sweet spicy flavor and will turn your dish a warm yellow color. It can be used in sweet or savory dishes and is especially good in soups and stews. Mace is commonly used in Indian dishes. Mace has long been used to ease digestive woes and is common;y found in teas. Mace is an excellent source of Vitamins C and A as well as calcium, copper, magnesium and iron. Mustard seeds are the fruit pods of the mustard plant. They are rich in B vitamins and niacin.. Whole mustards seeds have no taste or smell. The spicy mustard flavor comes when the seed is crushed. Mustard seeds are used extensively in Middle Eastern and Mediterranian cooking. It is used in sauces, curries and as a pickling spice. Nutmeg is the seed of the nutmeg fruit. It has a spicy sweet flavor similar to that of Mace. Because it's flavor is strong, use it sparingly; a little goes a long way. Nutmeg can be used in sweet and savory dishes and is used a lot in Indian cuisine. Nutmeg is used for pain relief and can aide in digestive issues. It also helps brain function in those with dementia and Alzheimer's. 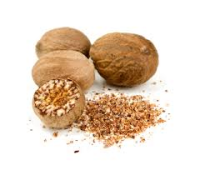 Nutmeg is a rich source of B vitamins and minerals like copper, magnesium, potassium and calcium. Onion powder is dehydrated, ground onion. Onion salt is onion powder with salt added. Onion powder tastes like onion. Surprise! It is a rich source of fiber, calcium, vitamin C and manganese. 1 tablespoon equals approximately a 1/2 cup of raw onion. Orange peel is the peel of an orange. 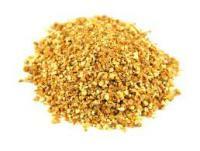 It can be used fresh, fresh zested or dried from the spice section of the gocery store. Orange peel has a bitter, fresh orange essence. Like the lemon peel, it is high is antioxidants and may prevent cancers and heart disease. It is also high in vitamin C and fiber as well as calcium, copper, vitamin A and B vitamins. Orange peel has anti inflammatory properties and aides digestion and may thin respiratory secretions. 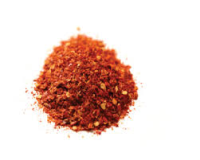 Paprika contains multiple antioxidants. This spice is filled with beta carotene that while eventually be churned into vitamin a. Vitamin B6 and iron promote hair growth and stimulation. Chances of blood pressure, heart disease, and strokes can be lowered with potassium. The heartbeat and muscle contractions will be steadied. Pepper flowering vine cultivated from the fruit, which is dried ground and used as a spice. Known throughout the world and used in almost any recipe, pepper also has a few medicinal properties. Piperine is the compound found in pepper that give is what makes it a cancer prevention spice especially when added to turmeric. It can aid in digestion. Help with coughs and cold,s due to its antibacterial properties. Increases the metabolism, helping with weight loss. Increases blood circulation, and can aide in depression. An actual Moroccan spice blend that can have over 30 different exotic spices mixed together. Somewhat of a curry like with a spicy kick. Added to chicken dishes, rice, and vegetables to cous cous or rubbed on barbque ribs, ready to grill! Extremely versatile! A native of southern Europe for thousands of years, this is the most expensive spice to come by. The orange-yellow stigma inside of the crocus plant is where saffron comes from. The compounds picrocrocin, safranal, and crocin are the compounds that make saffron highly valuable in the market place.Known for its beautiful color, savory smell and flavor. Used in Asian and Indian cuisines, add a pinch of saffron to desserts, ice cream, and drinks. Enjoy the pleasant flavor with its addition to its antioxidants, antidepressant,anticonvulsant, and antispasmodic properties, to name a few. Also known as Szechuan, it comes from the dry berry husk of the prickly ash tree. Banned for years in the US for fear of spreading canker to the citrus tree, is now back. Known for its wild smell and electric taste, which literally numbs the mouth, is often said to be addictive. Added to almost any meal, as pepper or oil adds a taste that makes Szechuan, what it’s known for. The star shaped fruit of an evergreen plant, known for its licorice like flavor. Used mostly in Chinese cuisine, the star anise can be added to sweet meats, stocks, soups, egg dishes, or confectionary. It is also known for its antiviral properties. Rich in Shikimic Acid, the plant base compound found in oseltamivir, used in what is known as Tamiflu. Researchers have noted that it could also have antibacterial, antifungal and antioxidant properties. 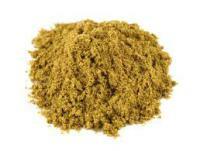 Used in India for thousands of years, this is what gives curry its yellowish color. Curcumin from curcuminoid compound found in turmeric is what makes turmeric a very powerful antioxidant and anti inflammatory. Curcumin does not absorb well in the bloodstream so it is absorbed better when taken with pepper which has piperine in it. Also known to help with heart disease, brain function and reduce risk of cancer, as well as arthritis.Add it to your morning breakfast dish, toast into vegetables, add it to your soup, mix it into your smoothie! The second most expensive spice, due to the process taking 6 months to get pure vanilla extract.The pods are picked before the Vanilla plantafolia orchid plant flowers bloom. There are a variety of vanilla bean, Mexican, Tahitian, and Madagascar, which is considered the most popular. The tonka bean, very similar to the vanilla bean, but a carcinogen, could be an imposter. Be aware when purchasing your beans, they should look plump, smell delicious. Get your beans from a reputable source.